Fintech and blockchain influencer, Salih Sarikaya (@SalihSarikaya) has a twitter reputation which is the envy of many. An active member of the platform since 2009, Sarikaya has maintained a strong presence and indeed a massive following. 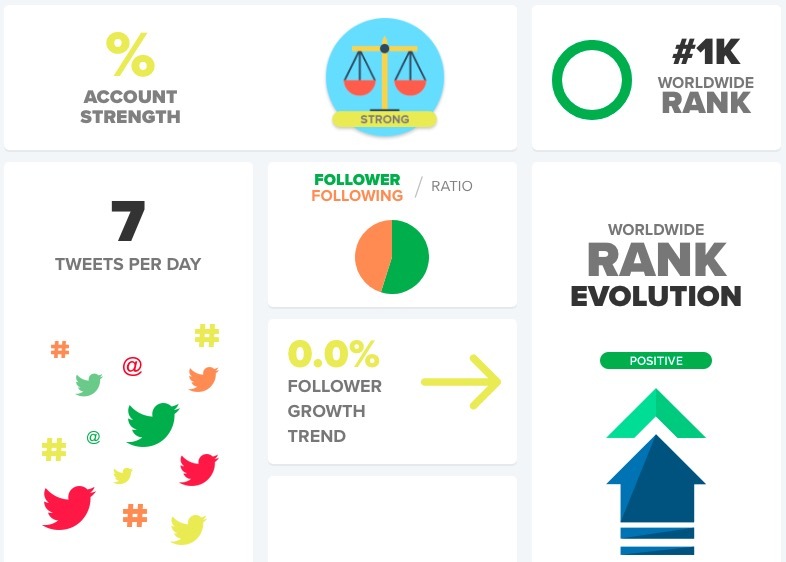 Twitter Counter, which profiles the accounts of Twitter users rate his profile very highly. Sarikaya is tracked #1k by currently has over 700 thousand followers—a number which increased by steadily by the day. He is #1k, a place shy of the twitter’s prestigious top 1,000 users. What’s even more interesting is his follower-to-following rate of 1.23. This is a healthy ratio which indicates he stays in tune a lot of the happenings in the industry. 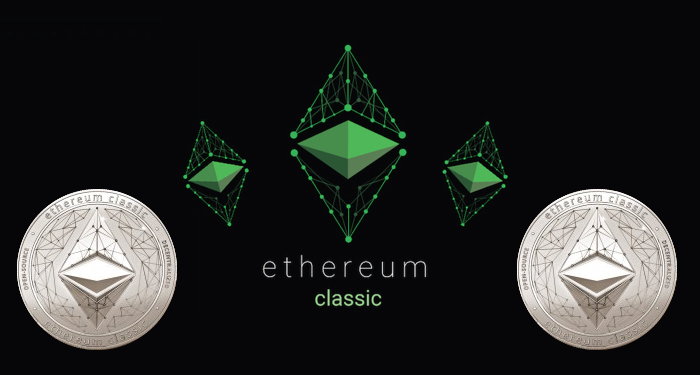 What is your #Ethereum (#ETH) price prediction for the end of 2018? Salih Sarikaya maintains a balanced view to subjects of fintech and blockchain—really any subject he entertains. He is not one to make brash proclamations, rather he inspires honest and intellectual discourse over issues of interest. 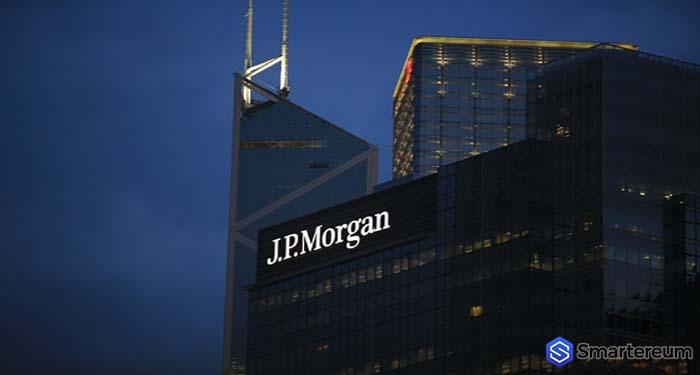 His timely twitter polls have become a rallying point for cryptocurrency and fintech enthusiasts as it captures the opinions of a vast number of knowledgeable and interested respondents. He posts quite frequently. On the average, he lets out 9 tweets per day ranging from informed personal opinions and interesting questions to news excerpts and trending tidbits. On one occasion, he raised a really thought-provoking matter. He asked what strategy would best suit a person who bought bitcoin (BTC) above $18,000 (BTC has since crashed and trades below 7k now). It’s interesting to follow the interesting responses that followed while he punctuated with replies. Speak of real engagement. His influence in the industry has not gone unnoticed by the seemingly ubiquitous impersonation scam bots which invade posts of respected industry figures asking for donations of cryptocurrencies. 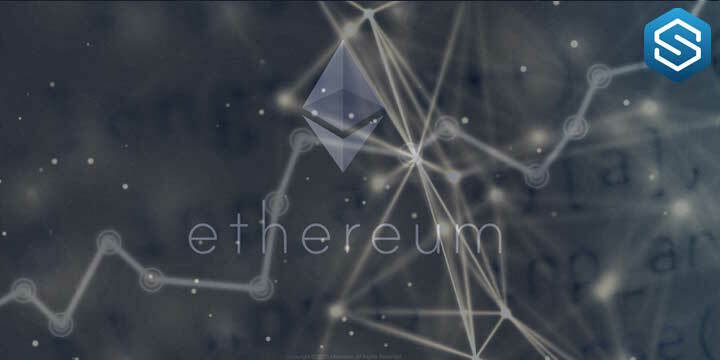 No one is immune, not even Vitalik ‘Not giving away ETH’ Buterin. 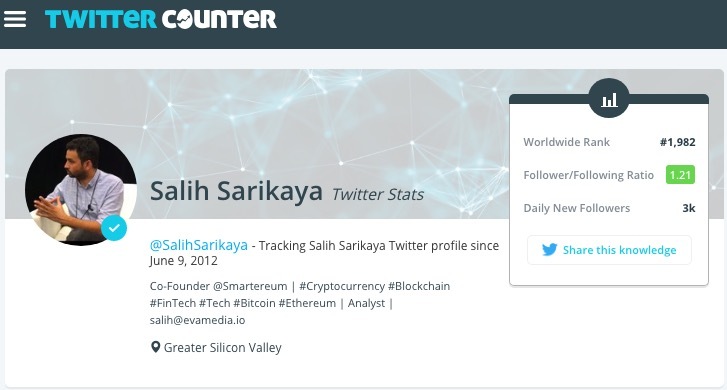 Social ranking platform Klout shows Salih Sarikaya between the 1% of people who are talking about cryptocurrencies, blockchain and fintech. #Bitcoin has fallen almost 70 percent from its all-time high, with other cryptos getting hammered as well. #Ethereum #Litecoin #Ripple and #BitcoinCash also plunging from their record highs.